2. What are Loyalty Programs? Comp points can take on various forms in land-based settings. Patrons who wager regularly will receive free rooms, tickets to shows, dining in gourmet restaurants, buffets and cash rewards. Depending on how much cash the player is prepared to spend the sky is pretty much the ”limit”. On the face of things, online casinos don’t offer the same level of perks to that of their land-based counterparts. In internet gambling there are no free meals or shows to attend but they retain players by offering them various cash incentives with gusto. In this article we’re going to discuss the various comps casinos have to offer, how to earn comp points and their value. Let’s begin with the first and primary player incentive, the welcome or sign-up bonus. 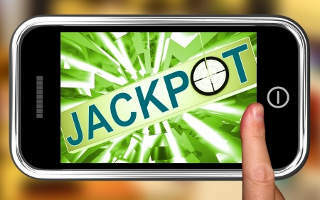 In a bid to lure new players, online casinos offer a deposit bonus as an incentive for registering an account. It’s a great way to boost your bankroll and to try out certain games. By and large the deposit bonus is the most lucrative comp. Many sites offer new players hundreds of dollars in ”free” money based on their initial deposit. The simplest form of player incentive is the fixed sign-up bonus. It’s a deposit bonus based on a predetermined amount. To qualify for this bonus, the player must deposit an amount equal or higher than the comp itself. For example, all new players will receive a bonus of $50 on condition they deposit $50 or more. These type of bonuses are more lucrative. Players will receive a percentage bonus based on the amount they deposited. If the casino offers a match bonus of 100% up to $100, the player will receive a bonus of $200 instead of $100. Match bonuses vary from casino to casino. Keep in mind that each bonus carries a set of wagering that must be cleared first before a cashout is allowed. No matter how large the deposit bonus, it’s just a matter of time before it runs out. When online gambling first started loyal players were not rewarded with cash incentives. Luckily all this has changed mainly due to the competition among online casinos. Most sites retain their players by offering them all kinds of incentives such as comp points, reload bonuses, free spins, and cash prizes that could be won in selected tournaments. Regular depositors receive cash rewards at the beginning of every month based on their previous month’s wagering activity. How does it work? There are two loyalty programs. The first is the cashback program and the other player clubs or VIP programs. Instead of just doling out cash, a few enterprising sites have developed cashback programs that rewards a player a percentage of his/her losses. Some even give players a weekly/monthly bonus of 10% of their net losses. Similar to the comp programs found in land-based settings, players receive points every time they play. For an X amount of dollars wagered the player will receive one point. These points accumulate over time and can be exchanged for cash. The points system varies from casino to casino, typically a player will receive 1 point for every $10 wagered. VIP programs are also divided into various levels. The player will ”unlock” the next level if a certain amount of cash is wagered during a specific period. Each VIP level comes with its own incentives such as faster withdrawals, special bonuses, promotions and own VIP manager. Casinos are constantly looking for new players. Although sign-up bonuses and loyalty programs are the main bonus incentives, they are not the only ones. To attract new players, most casinos offer a referral fee to players who refer their friends and family to the casino. The rewards are not spectacular since they normally range from a flat fee of $20 to a percentage of the player’s deposit. It can be quite lucrative especially if you have a lot of family and friends who enjoy gambling online. Strictly speaking online casinos have evolved. They offer a bonus if a player uses a specific deposit method like Moneybookers or Neteller. For example, a player will receive a bonus of 10% if Neteller is used as a deposit option. To celebrate a special occasion such as a new game being released or a holiday, sites will offer one-of-a-kind bonuses. They come in various sizes ranging from free spins on selected slot games for a week, special bonuses to a lucky player chosen randomly. Players are updated via a newsletter or they can visit the ‘Promotions’ page. Not every bonus will turn your mediocre bankroll into a veritable gold mine but it’s still helps a lot with your battle against the house. If the site’s VIP program does not appeal to you there are other ways of gaining comp points. It’s like strolling from one Vegas casino to the next looking for a specific game, the same principle applies online. Players who periodically try out new sites will earn new deposit bonuses and other bonus incentives. Because of the competitive nature of the industry, online casinos are forever trying to come up with something new. You might be with a site that offers great rewards, a top-notch VIP programs but a couple of weeks down the line the site loses its sparkle. That’s why it’s important to keep an eye open for new promotions and trends online. With the advent of live casinos and mobile betting the gaming world has taken a turn for the better. Not only are the games more interactive but casinos offer better incentives to retain their loyal customers. If the site offers a match bonus of 100 percent, be sure to check out what amount it will award as a comp. It defeats the object somewhat if you deposit $500 just to receive $50. At times portal casinos offer lucrative incentives such as free magazine subscriptions to new and returning players. Sign up for them, not only do they provide information about new game releases but on special promotions too. The majority of sites will try their best to make it look as if your bankroll is overflowing with free cash. Sadly, this is not the case since the casino’s ”free” money comes with a set of restrictions attached to it. At some gaming site’s these restrictions are permissible. Others, impose restrictions that requires massive amounts of betting, stipulating the games that can be played and limiting the time when the bonus can be earned. That’s why it’s important to sign up with a site that has the fewest bonus restrictions. So what is a good set of restrictions? Find a casino that offers a few limitations on the games that count toward earning the cash. If you can earn your comp by playing multi-hand blackjack but you’re a slots player, then such restrictions nullify the value of the comp unless you’re willing to switch games. Makes sure that your location does not interfere with your ability to receive the bonus. Local governments often restrict sites from offering certain types of comps and rewards to players. Last but not least, find a site that requires little play before a comp is earned. Some casinos require mild play, say ten times the comp value before the cash is released. Others, however, impose draconian restrictions requiring the player to turn over the bonus as much as 50 times. If the wagering requirements attached to the bonus is too steep, you may lose your initial deposit long before the ”free” comp is released. At a glance it may seem like bonus restrictions are nothing more than a way to trap players to part ways with their hard-earned cash. That’s why the casinos imposes these measures to protect them from bonus abusers. What is bonus abuse? If a player opens multiple accounts under different names to get more free money from the casino than he or she’s entitled to. On the surface, comp points give loyal players a much needed bankroll boost, the player is happy and so is the house. It’s a win-win situation, right? Comps can cause players to bet more recklessly because the bonus cash is expendable and the player obtains more ”free” money. Some players get so carried away with earning out a comp that they virtually throw away their entire bankroll. At the end of the day the player ends up losing hundreds if not thousands of dollars just to earn a meager $50 or $100. As a player it’s your right to ensure that the casino rewards you for loyal play. Make sure that you don’t squander away your entire bankroll by playing recklessly. We have drawn up a couple of pointers that will help you along the way. In short, be a L.I.K.E player. 1. Look for casinos that offer the best incentives. Always read the site’s terms and conditions to see how comp points can be earned. 2. Increase your comps. Don’t deposit more than you can afford to just to receive a comp. If the site offers a $40 bonus for a $40 deposit, don’t over invest in the site. 3. Keen to win. Don’t squander away your bankroll just to earn a comp. If you’ve had a bad session rather take a break or stop altogether. 4. Earn a profit. Once you’ve earned your comp, it’s your money. To be blunt, don’t waste it on insignificant bets simply because you’re playing with the house’s money. You’re not, the moment the comp is cleared it became your money.